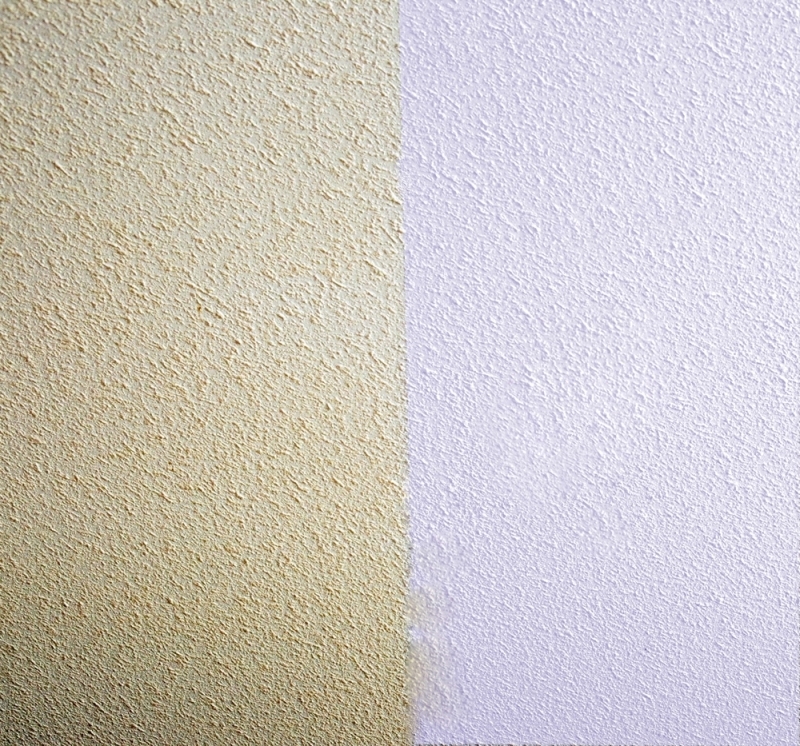 In Surrey and throughout the Lower Mainland of British Columbia, Magic Mist takes your dirty ceilings and cleans them so that you don't have to repaint or replace them. Whether our services are needed in residential or commercial buildings, our unique process will brighten, clean, and deodorize most surfaces. Check out the difference in the photo below! We offer many services to residential and commercial businesses. Click on the links to get more info on each, and contact us for a free estimate! We can clean smooth or popcorn "bumpy stuff" ceilings. We will come to your home and place drop cloths over your floor coverings and furniture, remove any dust, then spray your ceiling with our cleaning product. As the product dries, your ceiling will whiten. We also clean commercial ceilings. Whether your ceiling is tile or not, we will be able to give it a clean and make it look like new. In commercial kitchens, we clean the kitchen as well with our specialty kitchen cleaning services. This helps keep air quality high and health concerns low. Let us clean up that natrual grease for you! Contact us with questions by email at info@mistcc.com or by phone at (604) 594-9413!